Trevine Bed and Breakfasts. Compare latest rates and Live availability for all your favourite places and places you have always wanted to go using our new My Shortlist feature. Click + to add to your Shortlist. Bed and Breakfasts in Trevine, Cornwall for 1 night from Sat Apr 20, 2019 to Sun Apr 21, 2019 within 10 miles, in an Average Nightly price range of £1 to £200. Jo and Derek welcome you to our charming Victorian House. We have seven letting rooms comprising of doubles twins and single rooms which all have en-suite or private facilities all with sea or countryside views. br / br / br / br / We are a few yards from the coastal path and a few minutes walk to the amenities of Tintagel including shops pubs post office pharmacy restaurants etc. br / br / br / br / Full English / Continental and Vegetarian Breakfasts are served using many local products and all freshly cooked to order. br / br / Free Private Parking. br / br / br / br / Whilst in Tintagel the castle linked to King Arthur the Visitor Centre the Old Post Office and the Arthurian Hall are well worth a visit. br / br / A few miles away is the lovely cove of Trebarwah Strand where you can swim at the Lifeguard patrolled beach the working fishing villages of Boscastle Padstow and Port Isaac known for the filming of the TV series Doc Martin br / br / From our property take the coastal path to the picturesque Rocky Valley and St Nectarns Glen with the spiritual waterfall. br / br / 30 miles away is the world famous Eden Project and farther down the coast Lands End St Michaels Mount The Minak Theatre and St Ives home of the Tate Gallery are all worth a visit. br / br / br / br / We offer secure cycle storage and free luggage storage. This 5-star award-winning eco-friendly bed and breakfast is located around 5 minutes' walk from Wadebridge town centre. Wadebridge B&B offers contemporary accommodation in North Cornwall, less than 8 miles from Padstow, Port Isaac and the North Cornwall coast. It has free WiFi, free parking, and secure storage for bikes, surf boards and other sporting equipment. Each room features a flat-screen smart TV, desk, tea and coffee facilities, bottled water and biscuits. Each has an en suite bathroom with bath or shower, and super king-size, king-size, or twin beds. A full Cornish breakfast is served each morning, with Cornish bacon and sausages, eggs, tomatoes and mushrooms. There are croissants, fruit, cereals, yoghurt, as well as fresh coffee and specialty teas. The dining room has a glass roof and balcony, and opens on to the gardens. By the River Camel and the Camel Trail walking and cycling trail, Wadebridge is around 15 miles from Newquay and less than 20 miles from St Austell and the Eden Project. Bodmin is less than 20 minutes' drive, and you can reach the county town of Truro in around 30 minutes. Located in the centre of Wadebridge and within 6 miles of Padstow, Rock and the beaches of Polzeath, Molesworth Arms is an ideal base from which to explore Cornwall. Free parking is possible on site, and free WiFi is accessible in the hotel rooms. Molesworth Arms offers rooms renovated to a modern style but retaining classic touches such as exposed wooden beams. The en suite bathrooms have either a power shower or layback bath. Rooms come complete with a flat-screen TV and tea/coffee making facilities. Breakfast options include cereals, Cornish yoghurts, fresh fruits, Cornish cheeses, pastries and a cooked Cornish menu. The onsite pub dates back to the 16th century and has traditional hard wood panels and open fireplace, whilst the restaurant boasts a contemporary British menu. The on site pub has live music as well as a DJ on weekends. The Camel Trail passes close to the property and links some of Cornwall's finest scenery with walking and bike paths. 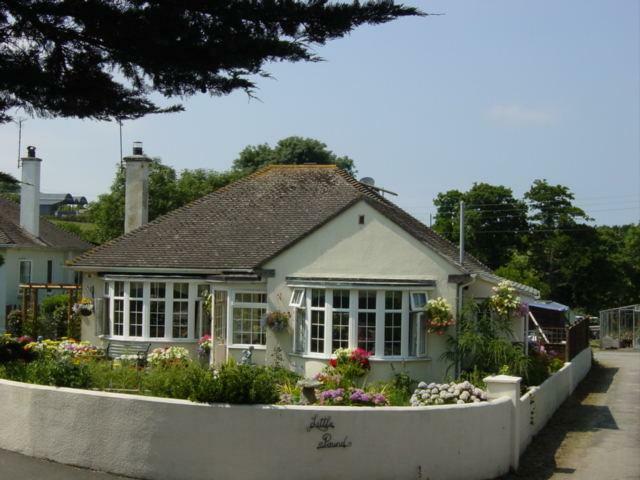 Several golf courses are located close to Molesworth Arms and Newquay is just 15 miles away.